The power and promise of artificial intelligence for small business continues to grow. 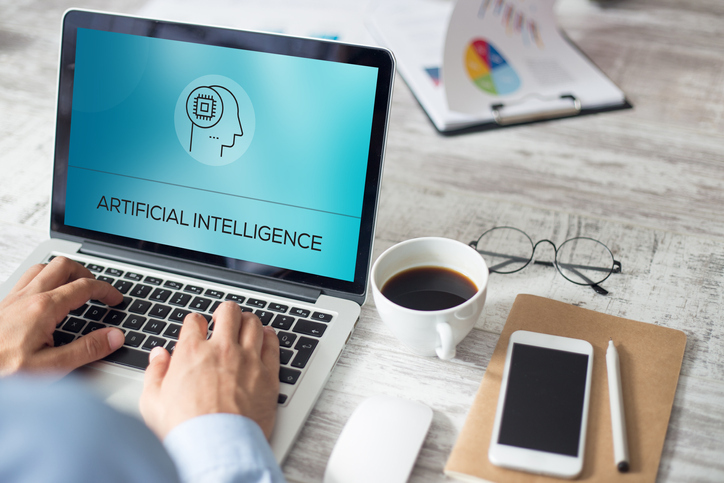 But even with the AI revolution upon us, from a day-to-day perspective, most small business owners are more concerned with keeping the lights on and the doors open than navigating what is seemingly a complex web of new technology. The key thing to understand, however, is that artificial intelligence is already a part of your everyday experience. Your movie recommendations, driving directions, social media feeds, and the voice on your phone are all examples of how AI already plays a role in your daily life, and that of your customers. So, if customers are already expecting an AI-enabled experience, then it’s on you to meet expectations. Artificial intelligence is already here, and it’s here to help make you and your team better and more effective at what they’re already doing. In other words, this isn’t about replacing people or getting in on the next business fad, it’s about making the people you have more effective and efficient by enabling them to make better decisions and do what they do best. With that in mind, let’s look at four different ways artificial intelligence can help your small business succeed right now. Customer Relationship Management (CRM) platforms are essential for businesses of all sizes, and for good reason. They help you keep track of every interaction you have with your customers so you’re not starting at square one every time someone phones in to ask for help or to follow up on a conversation they had with a salesperson, customer service, or live chat. Salesforce, the biggest CRM in the business, is busy integrating AI into everything that they do. With the release of Einstein, their focus is on delivering actionable predictions and recommendations that can help take your business to the next level. These insights can help you coach sales reps, help service agents, point marketers in the right direction, and give you new ways to look at the data you already have. If you’re already collecting data on every customer interaction (and you should be), then AI can help you turn that data into actionable steps that can pay big dividends by putting you one step ahead of your competition. For most small businesses, the sales team is how you generate revenue. When you consider the fact that sales are crucial to your SMB’s success, then don’t you want to put the right tools in their hands to help them succeed? AI tools like Gong, Jog, and Chorus have been developed with you in mind, with the ability to record and transcribe every call that your sales reps have. They can then compare the strategies your sales reps use with those that are employed by your most successful team members and offer analysis based on word choice, or the ratio of time spent talking to time spent listening. In other words, you can use AI tools to share successful techniques across your entire team, without the need for a comprehensive review. Instead, you can start with what works and figure out the secret sauce that will transform your business. Customer-facing chatbots can save you a lot of time when it comes to frequently asked questions. If you think about it, a huge percentage of your calls each day are probably about the same kind of thing: What time are you open? Do you deliver to my address? Do you have this item in stock? These kinds of questions are relatively easy to answer, but they end up sucking up a bunch of your team’s time that could be better spent building your business. The best way to get the most out of a customer-facing chatbot is to see if you can boil down your customer service calls to the five most commonly-asked questions. Basically, what do you routinely take care of that you might be able to pass off to a chatbot? The good news is that it doesn’t just make things easier for you, it also removes friction for your customers and makes it easier than ever before for them to make a decision to buy. Customer-facing chatbots have been around for a while, but what about routine questions that come up in the day-to-day of running your business for your employees? Questions about time off, company policies, healthcare, standard operating procedures, and more come up all the time, but they aren’t necessarily what you want your HR staff spending most of their time on. Luckily, new HR chatbot solutions are being developed all of the time to help you field routine inquiries and make sure your people are focused on what matters most. If you spend a lot of time taking care of your team, it might be time to look into getting more help from an AI solution. Artificial intelligence is popular for good reason. From movie recommendations to voice control, we’ve integrated AI into our lives, and your customers are no different. If they aren’t already, they’ll be expecting your business to leverage this tech soon. Luckily, there are a number of solutions out there to help you run your small business faster and smarter than ever before. Use AI for CRMs to get new insights from the data you’re already collecting. Coach sales with artificial intelligence insights. Use chatbots to take care of routine customer service questions. Answer frequently asked HR questions via chatbot.